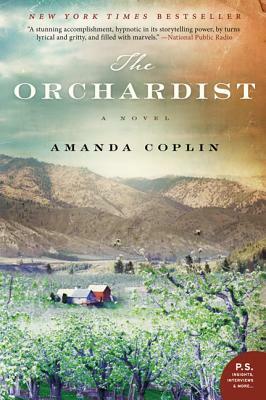 How would you describe William Talmadge, the title character of The Orchardist? What adjective best describes his character? What are the factors that have shaped the man he is? Though he is mostly alone, Talmadge has two good friends, the herbalist Caroline Middey and the Indian horse catcher Clee. What draws these three people together? When Talmadge first meets the young sisters, Della and Jane, they are stealing his fruit. Why isn't he angry with them? Why does he want to help them? What does he see in them that others might not? Jane told Della that their unborn children were a gift. "'They were blessed, said Jane. "It would be themselves they give birth to, only better. That was why she and Della must work so hard to protect them, their children. In protecting the children, Jane and Della would save themselves." Why does Jane tell Della this? Talk about the sisters and the bond they share. Could most people survive the pain and shame of what they were forced to endure? What propels Jane's definitive act? What stops Della from following her? How do these choices reverberate in the years and events that follow? Explore Della's character. Is she a good person? What drives her restlessness? Why is she driven by revenge? Why can't she find solace with Talmadge and Angelene in the orchard? If he could articulate it, how would Talmadge define his relationship to Della? Do you think he thought of himself as Angelene's father? What about Angelene? Though he adored Angelene, "the emotion—the severity of it—also made him afraid." What was the root of Talmadge's fear? Why can love be simultaneously wondrous and terrifying? Is there anything Talmadge could have—should have—done to keep Della with him and Angelene in the orchard? What hold did Della have on him? Did his concern for Della and his longing for her overshadow his relationship with Angelene? Discuss Angelene and Della. How do they view one another? What kind of person does Angelene grow up to be? How might her life have been different if Della had been present? Could you live as Talmadge did? Do you think he was lonely? Did he enjoy his solitude? What about Caroline, Clee, Della, Angelene? Were they lonely? How is being alone different from being lonely? Talmadge insists that Della should return to the Orchard for Angelene. Caroline questions this. "Do they want each other? Does Angelene even want her, Talmadge?" she asks. He replies. "It doesn't matter what we want. It's blood." How important is blood to family? Are Talmadage, Angelene, and even Caroline a family? Would Talmadge agree with your assessment? What about Angelene and Caroline? What ties individuals together as family? Though they themselves cannot define it, what do each of these characters need from the other—including Della? Late in the novel, Talmadge watches Angelene working in the cabin. "She was the dream of the place that bore her and she did not even know it." Explain what he means. What is the significance of the landscape and the natural world in the novel? How does it relate to and shape the characters and the lives they lead? Can you think of some other books for which landscape is integral to the story? In the century since the novel's setting, we have built over much of our farmland and open spaces. How has this affected us as individuals and as a society? What have we gained? What's been lost?